The government of India will allow aviation companies to borrow up to $1 billion (Rs. 5,100 crore) collectively and up to $300 million individually, from overseas, via the external commercial borrowings (ECB) route, as per a statement released by the finance ministry today. 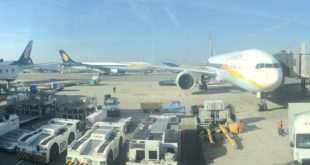 In his Budget speech last month, the Indian Finance Minister had announced that companies in the aviation sector would be allowed to avail of ECBs for a period of one year for working capital/re-financing of outstanding working capital rupee loan(s). The ECB made under this provision would have a maximum ceiling of USD 1 billion for the entire Civil Aviation sector. The limit for individual airline companies would be US$ 300 million. This limit can be availed either in a lump sum or in tranches depending upon the utilization of the limit during the 1 year when the facility is available. The rapid growth of the Aviation sector in India has generated demand for additional finance for working capital and capacity expansion. High operating costs, particularly on account of high fuel costs, have put additional stress on the Airline Industry. but the politically weak UPA-2 government of Prime Minister Dr. Manmohan Singh is unable or unwilling to take even the slightest of steps to help the sector. Even the almost concluded proposal to permit up to 49% foreign direct investment (FDI) by foreign airlines in to Indian carriers, which was expected to be approved by the Cabinet today, appears to have been put on the back-burner, indefinitely, with no less than the Prime Minister himself, referring the issue back to a “group of ministers” with a directive to “establish consensus”. With the loss of the municipal elections in the national capital Delhi, the Congress party, is unsure of its so-called allies the Mamta Banerjee led TMC, and Sharad Pawar and Praful Patel led NCP. 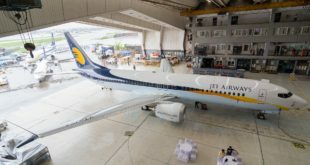 A school of thought believes that FDI is essentially shelved, due to the friendships of former civil aviation minister, Mr. Patel, with Jet Airways and IndiGo, both of whom are opposed to FDI, as it will benefit their competitors Kingfisher, GoAir, and SpiceJet, and will hurt them by forcing them to dilute their promoter stakes. Another school would have you believe the Prime Minister is playing it safe, having learned its lesson, when it suffered terribly, in the last parliamentary session, with the government being forced to retract an approval to permit FDI in retailing. Proposals of individual companies would be considered by RBI [Reserve Bank of India] under the approval route based on the parameters such as cash flows and the capacity of individual companies to repay these loans from their foreign exchange earnings. In order to increase access to ECBs, RBI would consider relaxation in the average maturity period for ECBs above USD 20 million from five to three years. 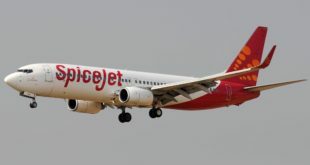 This policy decision will provide an additional source of capital low cost to the Airline Industry and help them tide over their present financial crunch. RBI is expected to issue relevant circular/notification giving effect to the aforesaid Budget announcement within 7 days. As if foreign currency denominated asset loans weren’t bad enough, now the government wants airlines to borrow working capital also in foreign currency. This at a time the Rupee is going up and down like a yo-yo. Borrowing is not going to solve the problems of the airlines. It is merely delaying the oncoming freight train of financial destruction. What are your thoughts on this half-baked approach by the government?